The specific capacitance of supercapacitors can be benefited by the porosity of the metal-organic frameworks (MOFs). 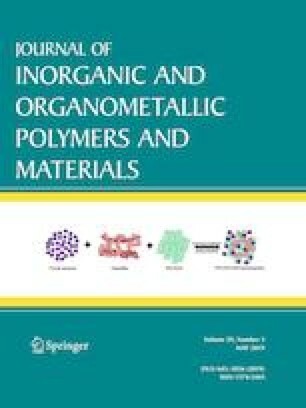 In this study, a nanocomposite of polyaniline-Cu(II) MOFs (PANI/Cu-MOF) was fabricated by a two-step process including chemical polymerization of aniline and room temperature synthesis of Cu–MOFs in the presence of the as-prepared polyaniline. The obtained compounds were characterized by FT-IR, PXRD, SEM, EDAX mapping, and XPS techniques. PXRD patterns revealed the amorphous character of the nanocomposite. FT-IR and EDS-mapping demonstrate the formation of PANI/Cu–MOF nanocomposite. SEM was applied for studying the PANI/Cu-MOF morphology. As demonstrated by CV (cyclic voltammetry), GCD (galvanostatic charge/discharge), and EIS (electrochemical impedance spectroscopy), PANI/Cu-MOF composite shows better capacitive properties compared to the pure Cu-MOF. Furthermore, the results of CVs indicate that the PANI/Cu-MOF composite has a higher capacitance (734 F g−1 at 5 mV s−1) with good electrochemical cycling stability. This study was financially supported by Shahid Chamran University of Ahvaz (Grant No. 1396).